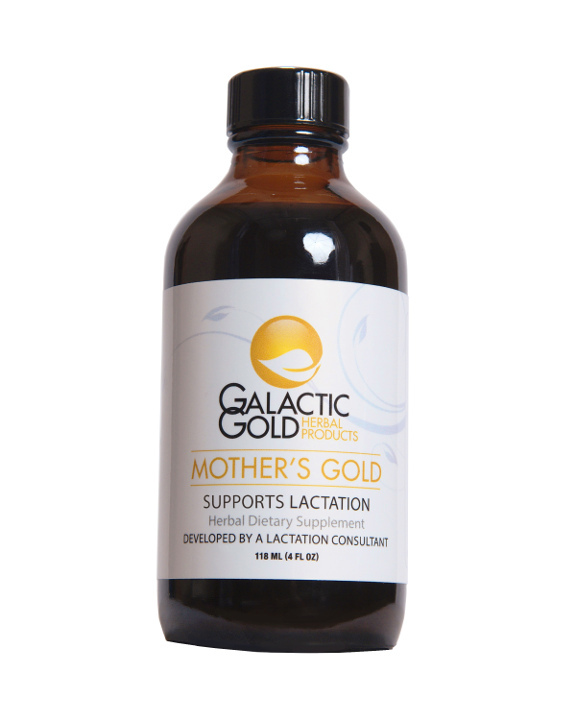 Mother’s Gold is an herbal blend designed to support a mother’s milk supply, milk quality and overall health. Suggested use: To support lactation*, take 1 teaspoon 4 times a day, or as directed by your doctor or lactation consultant. May be taken in small amounts of water or juice. Increase or decrease as needed. Organic Fenugreek, Organic Marshmallow root, Organic Shatavari root, Wild Crafted Blessed Thistle, Organic Fennel seed, Organic Plantain. Also contains: Glycerin and honey. 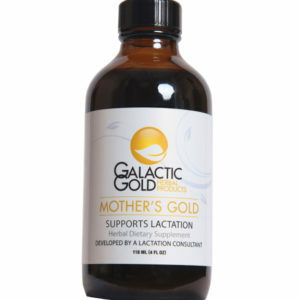 Disclaimer: Mother’s Gold is not intended to replace effective breastfeeding management. Rather, it should be used as a key part of a complete breastfeeding protocol. 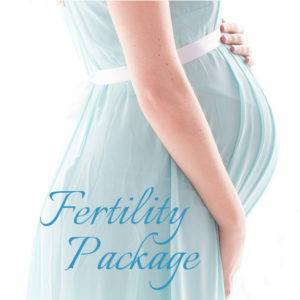 Mother’s Gold is not guaranteed to work for every mother. *These statements and this product have not been evaluated by the Food and Drug Administration, nor is there an intention to diagnose, treat,cure or prevent disease. (1) List, P.H. & Hoerhammer, L. Hagers Handbuch der Pharmazeutishen Praxis, Volumes 2-5, Springer-Verlag, Berlin. (2) Schauenberg, P., & Paris, F. Guide des plantes medicinales, Delachaux st Niestle, S.A., Neushatel, Switzerland, 1969. (3) Wren, R.W. Potter’s New Cyclopedia of Botanical Drugs and Preparations, 7th ed. Health Science Press, Rustington, England, 1970. (4) Lawrence Review of Natural Products. Fennel Monograph. St. Louis, MO: Facts and comparisons, 1988. (5) Willard, T. The Wild Rose Scientific Herbal. Calgary, Alberta: Wild Rose College of Natural Healing, Ltd., 1991: 123,62,173. (6) Matev, M., Angelova, I., Koichev, A., Leseva, M., & Stefanov, G. ”Clinical trial of a Plantago major preparation in the treatment of chronic bronchitis.” Vutreshni Bolesti (Sofia), 21(2), 133-137, 1982. (7) The Scientific Validation of Herbal Medicine, Daniel B. Mowery, PhD, Keats Publishing, Inc., New Canaan, Connecticut, pg. 261. (8) Howard, Dr. A.B. Supplement to the copyrighted work Herbal Extracts, Build Better Health with Liquid Herbs, The Blue Goose Press, Michigan, pg. 148-149.